Custom, semi-custom, or spec? It all depends on the amount of detail you want to control in your new home. Each has their advantages and disadvantages, and deciding the best route to take depends entirely on your needs, budget, time, and desire to control the details. To get started, let’s take a look at what makes a new home truly ‘custom’. A custom home project is one where you work directly with a homebuilder (and possibly your own architect) to design, plan, and select every single detail about the home’s construction, layout, and finish. And when we say ‘everything’, we mean EVERY-THING. You’re responsible for selecting everything from the number of bedrooms to the color of the doorknobs. As such, custom homes are perfect for people who enjoy a detail-oriented process and generally are not willing compromise on their vision. The home plan and any floorplan modifications, including moving walls, adding closets, putting in vaulted ceilings, adding windows or doors, etc. Exterior materials (brick, stone, siding, shake, board) and deciding the locations to batten them all down. Building materials and finishes like hardwood floor brands and styles, lighting fixtures, plumbing fixtures — not to mention home energy efficiency levels. Generally, we try to make the “home selection process” simple by creating what we call allowances, which means we set aside a specific amount of money for a certain item such as flooring. For instance, you might have a flooring allowance of $2,000 for high-end “LVT” flooring. As long as you don’t exceed that allowance when picking your floors, you stay on budget and the overall cost of your home doesn’t fluctuate. How does Reinbrecht Homes handle home selection allowances? Sometimes, a homebuilder might lower their estimates by basing allowances on the price of less expensive, ‘builder-grade’ selections. Later, if you decide you don’t like your choice of flooring, lighting, and plumbing selections, you’ll be upcharged to get what you actually want. This could inflate your initial estimate by $10,000 or more! When we figure allowances, we have our customers actually look at samples in order to make an informed decision before we price the home. This way there are no surprises, and you leave knowing exactly how much your dream home is really going to cost. What is a Semi-Custom Home? Like all things middle-of-the-road, semi-custom homes often offer homebuyers the ‘best of both worlds’, perfectly situating them between the ease of purchasing a move-in-ready home and the complexity of designing one from scratch. Usually, semi-custom home construction happens like this: A homebuilder has a library of designs they’re familiar with and can economically source materials for. From this list, you select a plan that meets your expectations and fits your family’s needs. Then, you work with your homebuilder to customize the home’s selections, materials, and finishes. 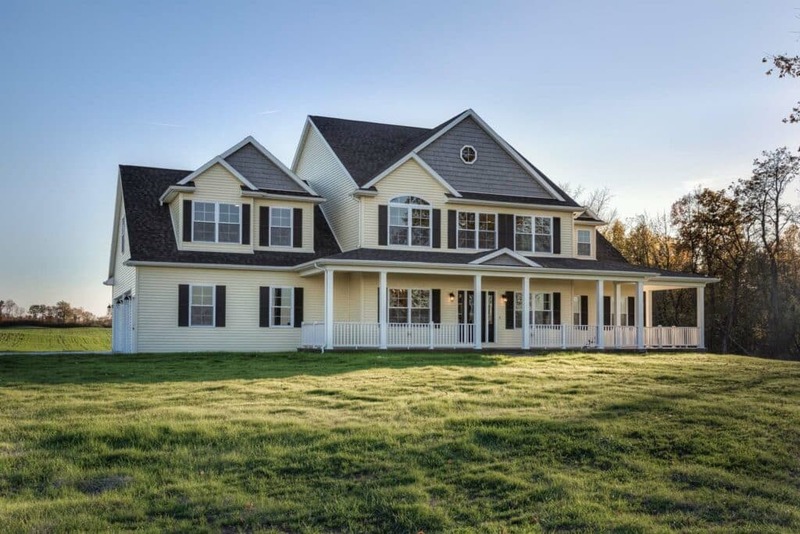 If you have a clear vision for your new home but aren’t interested in spending the time and money needed to fully customize it, a semi-custom home might be perfect for you. Is your timeframe a concern? If you want a tailored home, fast — we can price an entire semi-custom home in as little as an hour. On the other hand, a custom home usually requires several meetings, a trip to a designer or architect, and a few weeks to get the plans finished (plus an additional two weeks to calculate final sale price). When resources are available, it’s common practice for homebuilders to build move-in-ready homes on new lots. These homes, which are known in the homebuilding industry as “speculative” (or spec for short) are built with the ‘average homebuyer’ in mind. Spec home designs are accommodating and outfitted with selections that appeal to just about everyone, which is the whole point. If you know you want a new home, but aren’t interested in the process of customizing one from scratch, then you should look into buying a spec home. Plus, since spec homes are designed to sell, they make excellent investments in case you need to move in the future. Make a decision that’s best for you. When deciding the new home route that’s best for you, it’s important to keep an open mind. Explore all your options and choose a project-style that checks all your boxes without breaking your budget. Building a Custom Home: The homebuyer has near total control of the home’s layout, look, and feel. Custom homes tend to take longer to build and are generally more expensive than pre-built homes, but the end result is a true expression of the homeowner’s style and priorities. Building a Semi-Custom Home: The homebuyer selects an existing plan in their homebuilder’s wheelhouse and customizes the look and feel of the interior and exterior. Buying a Spec Home: A move-in ready home built by the homebuilder to meet the needs of the average person. Spec homes are cost-effective ways to get a new home at a good price.